Notes: An import EP from the ever evolving Mekons collective. 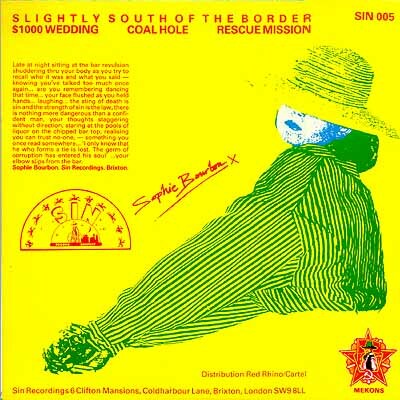 Along with their original tunes this record contains a nice take on Gram Parsons "$1000 Wedding". 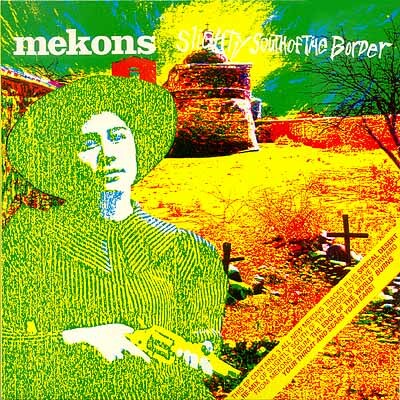 There at the beginning with the rest of the punks the Mekons are still today putting out impressive music and are involved in a myriad of side projects and alternate universes. Always on the side of the common working men and women the band puts it's collective all into each slab of vinyl or hunk of silicon. Brought to us by "Sophie Bourbon" this is worth looking up if you're an old fan or a novice to their world. It's nice to be able to see the roots when trying to assess the tree.